Workshops, speaking events and webinars on the teachings and practical application of A Course in Miracles. Enjoy my LIVE podcast on the 1st and 3rd Tuesday each month at 3:30pm PDT, and our video interview series! Welcome to the Home of Jackie Lora Jones! This site is for all those interested in learning about the self-study Spiritual thought system A Course in Miracles. I hope you enjoy this site and find it helpful! 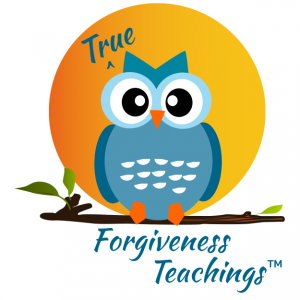 Please join me on the 1st and 3rd Tuesday each month at 3:30 PST for my A Course in Miracles podcast True Forgiveness Teachings™ on Blog Talk Radio! We have guest authors, students and teachers, and fun conversations! A Course in Miracles is a purely non-dualistic teaching, meaning "God is...and nothing else is." 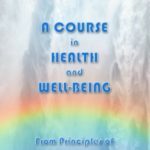 Therefore it is helpful to understand the myth at the foundation of the Course's thought system to better apply its teachings to our personal lives. The Course gives us a sophisticated psychological thought system of how to reverse our thinking to undo the ego - our belief in separation - a world of sin, guilt, fear, judgment and attack, which the body is the symbol of. The undoing of this thought system leads to inner peace and the awakening to our true identity as Spirit, perfect Love, Oneness with our Creator. In the beginning there was only One. The Course teaches that, "Into eternity, where all is one, there crept a tiny, mad idea, at which the Son of God remembered not to laugh." This "tiny mad idea" was the thought that God's Son could actually be separate from his Creator/Source. This is impossible in reality because there is only Oneness in Heaven. However, when the son believed this idea and took it seriously, instead of laughing at it, this signaled the beginning of the dream of separation. The son seemed to fall asleep and split off from perfect Oneness and can now observe himself in relation to his Creator. It is enticing to be autonomous and independent - it's a new experience. Now there is duality. There is two-ness instead of Oneness. ACIM identifies consciousness as part of this separated state. "Consciousness is correctly defined as the domain of the ego". Now there is a voice in the dream that speaks to the son as being separate from God. At that same instant when the son of God fell asleep he carried a memory into the dream of What he really is - he's never left his Source. That memory or thought is the Holy Spirit. The thought of separation was corrected in the same instant it seemed to occur, which is the atonement principle. 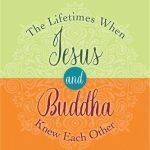 Atonement in ACIM corrects our belief in sin saying the separation never happened. Oneness cannot be divisible. This is why we forgive for what has NOT happened, instead of for what has happened. In the mind there are now two possible responses to this idea of separation and the son hears two voices speaking to him in the dream. The ego (the part of our split mind that likes being special, an individual, enticed by the idea of having its own kingdom and being its own boss) is reinforcing the idea that the son pulled off the impossible and indeed separated from his Source. The Holy Spirit gently reminds the son the separation never happened- he just "thought" it did. His true Identity is in Heaven. "You are at home in God, dreaming of exile but perfectly capable of awakening to reality." The son has to choose between these two mutually exclusive ideas. The part of the mind that chooses between these two ideas, the ego or the Holy Spirit, is the decision maker. The son chooses the ego - individuality and specialness - instead of perfect wholeness and Oneness with his Creator. (We all collectively as one son chose the ego. The Course teaches that there's only one of us - appearing as many - that believes it's here). The ego tells the son that he "killed off" God and this was the price that had to be paid for his individuality. The unconscious guilt for choosing individuality terrifies the son who now fears punishment from the ego's made-up wrathful God. This is not the true God Who is forgotten and out of awareness once the son chooses the ego. The ego further devises a strategy so the son never finds out its story isn't true and the son can change his mind in an instant by choosing the Holy spirit. (This is all happening in the mind that is outside time and space). The ego's goal is to keep the son mindless to preserve its own special individual existence. The ego tells the son there's a place he can hide from his Source to keep his specialness and individuality, but get rid of the sin and guilt he feels for "killing off" God and choosing individuality over the Oneness of Heaven. The unconscious guilt in the mind is the real cause of all our suffering in the world - both physical and psychological - because the world has never left it's source in the mind. It's just a projection. However, we forgot our original choice to be separate. "…Of one thing you were sure: of all the many causes you perceived as bringing pain and suffering to you, your guilt was not among them." *Ken Wapnick Ph.D. explains, "on the practical level of our daily experience - forgetting for the moment this is an illusion and we are not even here - forgiveness means you have not taken the peace of God from me. My disquiet stems from the thought that you have - by your words and actions. I therefore forgive you for what you have not done, because the only one who took God's peace from me is me." We can choose again. The Course tells us mistakes call for correction, not punishment. Forgiveness merely recognizes that what we're seeing isn't true, because what happens in a dream isn't true. The problem is we believe it's true. We're making the same choice right now. We are asked to take responsibility for our projection. The Course is teaching us to go back to the original error - the decision for the ego - and choose once again. When we choose the miracle, the shift in perception, it interrupts the recycling of unconscious guilt in the mind and recalls our projection; it corrects our perception so we do not further illusions, rather, we begin to wake up from our dream. This process moves us into the " happy dreams of forgiveness" where we look past the ego in ourselves and others and remember that we're dreaming, all the while being "normal" and living our lives here. We live normal lives, but under a different set of principles: forgiveness, shared interests and compassion, rather than anger, attack and judgment. Our shared interest is that we all want to return to the home we never really left - perfect Oneness. The gentler dream of forgiveness, still in the mind and part of the illusion, precedes our awakening. All our judgments, upsets, anger and grievances - anything that disturbs our peace of mind - are clues to remind us we've chosen the ego. Our upsets are then given to the Holy Spirit orJesus to be used for forgiveness. Our life is now seen as a classroom where we learn our forgiveness lessons. We don't deny our experiences here in the world, rather we deny the ego's interpretation in favor of the Holy Spirit's or Jesus'. We look at what upsets us with our new teacher in the mind. " I am never upset for the reason I think." Taking the tiny mad idea seriously was the birth of the ego thought system eventually resulting in the making of the physical universe. Once the ego is undone our awareness of love's presence is all that's left. Love is what we are. In heaven there is no individuality, only love, Oneness, pure joy, and perfect Spirit. *I highly recommend Ken Wapnick's prolific and uncompromising teachings and Gary Renard's book trilogy, beginning with "The Disappearance of the Universe", as great resources in understanding & clarifying the Course's theory, and also in applying the teachings in our everyday lives as we awaken. Both elaborate on, and further explain, the above myth at the foundation of the Course's theory. You can click on their names above or go to the links page.